In order to play blackjack, you’re going to need to understand the lingo! Blackjack – A card game in which players attempt to approach 21 but not exceed it. The best possible hand in blackjack, made up of an ace and a card valued at 10 (namely, 10, J, Q, K). A “Blackjack” hand is when your first two cards total 21. Bust – Having a total over 21. Double, Double Down – After seeing his hand, a player can double by placing an additional bet equal to his original bet and subsequently drawing one and only one additional card. This move may only be used on the first two cards. Even Money – When the dealer shows an ace and the player has a blackjack, the player can opt for even money and is paid immediately at 1:1. This is just a version of insurance, not a different bet. If the dealer has blackjack, the hand is a push, but the player receives two times the value of the insurance, which is the same as the original bet. If the dealer does not have blackjack, the player wins 1.5 times the value of the original bet but loses the value of the insurance, and still ends up with the value of the original bet. Hard Hand – a hard hand is a hand that does not include an Ace values at 11. Hit – To ask for another card. If that extra card makes the total over 21, then the player busts. Hole Card -The Face-down card that is part of the dealers hand. 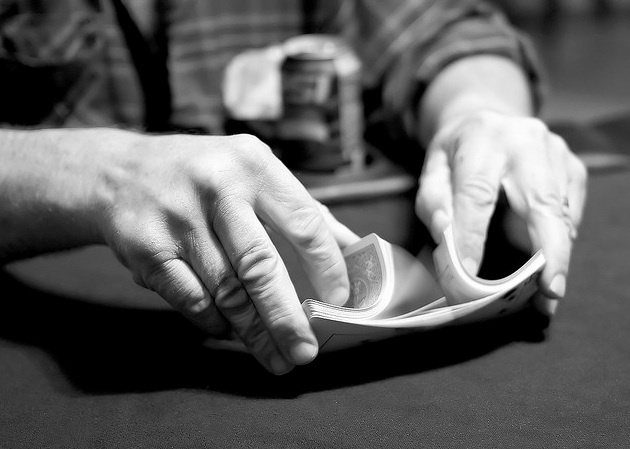 Insurance – When the dealer shows an ace, the player can choose to place a side bet of half the value of the original bet. If the dealer has blackjack, the player gets his wager back plus the value of the original bet. If the dealer does not have blackjack, the player loses his wager. Layout – Layout is what you do with your cash or chips on the table, dealers are not allowed to directly take money or chips from the customers. Push – A tie; the player and dealer have hands with the same total. Soft Hand- A soft hand is a hand that includes an ace valued as 11, as opposed to 1. Splitting – If a player is dealt two cards of the same rank, he can choose to play each of them separately, putting up a bet for each one. Standing – To stop asking for more cards. Up-card – The card that the dealer is showing. Book a cruise on the Big “M” Casino today and test your new vocabulary while you play blackjack! Good day! I just would like to offer you a huge thumbs up for your great info you have right here on this post. I’ll be coming back to your web site for more soon.